Shaftesbury & District Historical Society member Keri Jones has created a superb 16 minute podcast relating to the launch of the Shaftesbury Remembers website on 11 November. 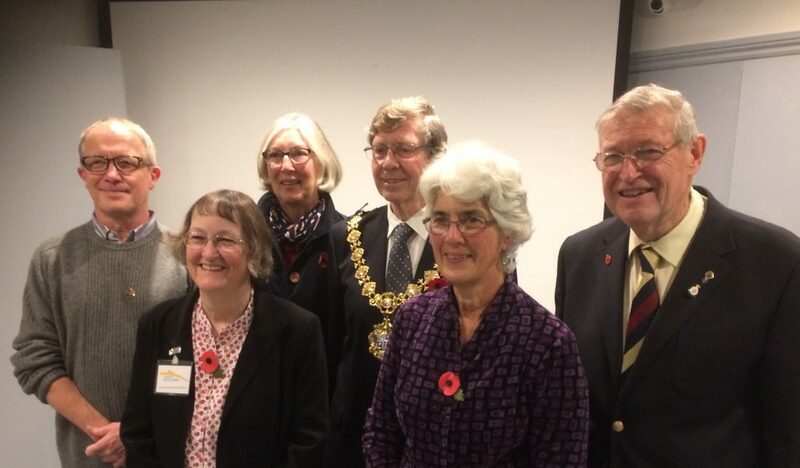 You can hear interviews with Ann Symons, Claire Ryley and Chris Stupples (seen above with website designer Rob Frost, far left, and the Mayor and Mrs Lewer) as they describe the process and heartache of compiling a comprehensive record of those from Shaftesbury and surrounding villages who served and died in World War I. There are surprising details too about the town during the war years.